The Parisian Afternoon is a special dining event that only takes place a few times a year during Epcot's International Food and Wine Festival. 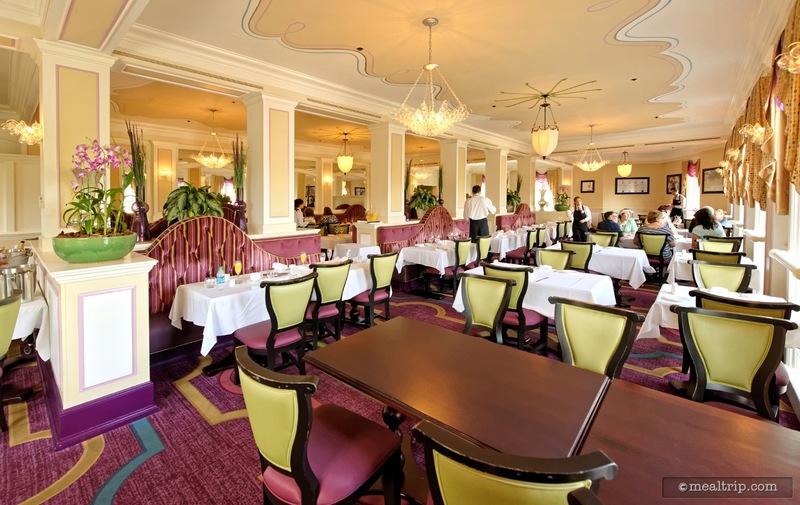 The light lunch is held in the exclusive Monsieur Paul dining room which is located above the Chefs de France restaurant in the park's France Pavilion. 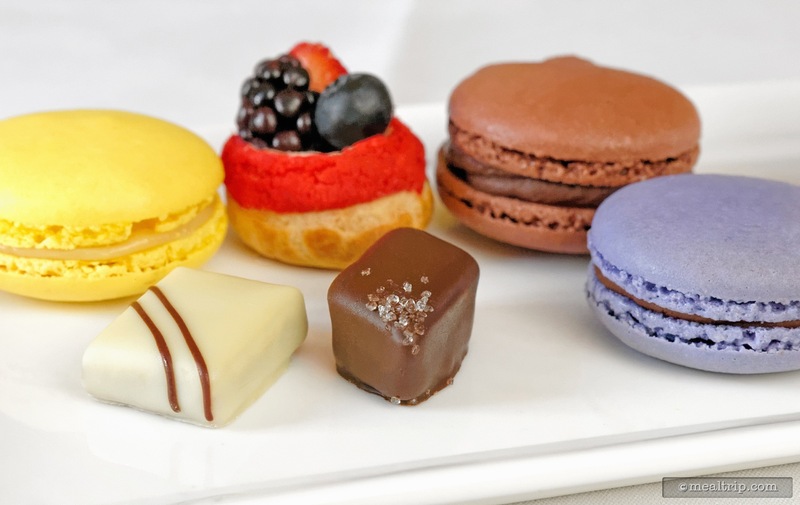 The two hour plated lunch features fresh baked savory breads, finger sandwiches, various macarons and petit fours. The beverage of choice at The Parisian Afternoon dining event is the unlimited mimosa (sparkling wine and orange juice), which is mixed table-side. The Parisian Afternoon is a special event held on select days (usually Saturdays) only during the Epcot International Food and Wine Festival. It's extremely accessible price-point makes it one of my top recommended "gateway" special events. 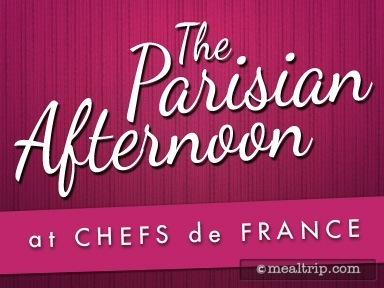 If you have never been to a "special event" during the Food and Wine Festival, this lunch (along with the Parisian Breakfast) are great events to start out with… just to see if you'll like what the series has to offer. 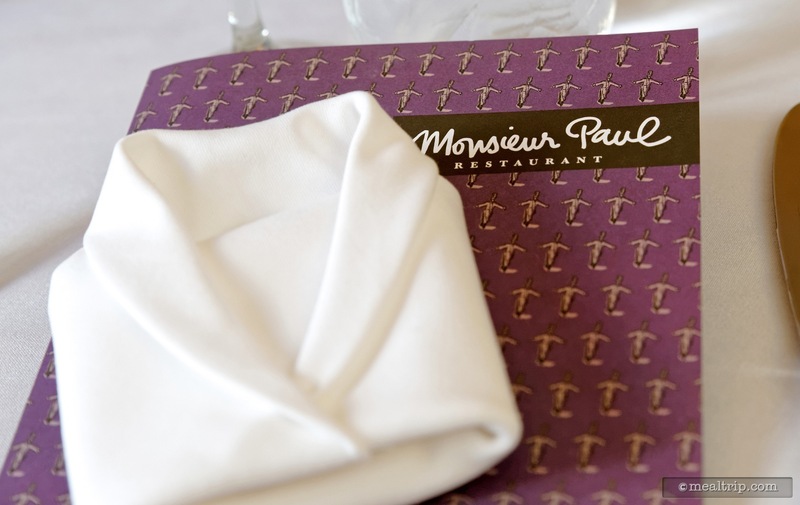 The cost of the event is about what you would spend on a sit-down lunch in the park anyway… and as an extra bonus, it's a great way to see the exclusive Monsieur Paul dining area located on the second floor above the popular Chefs de France restaurant. 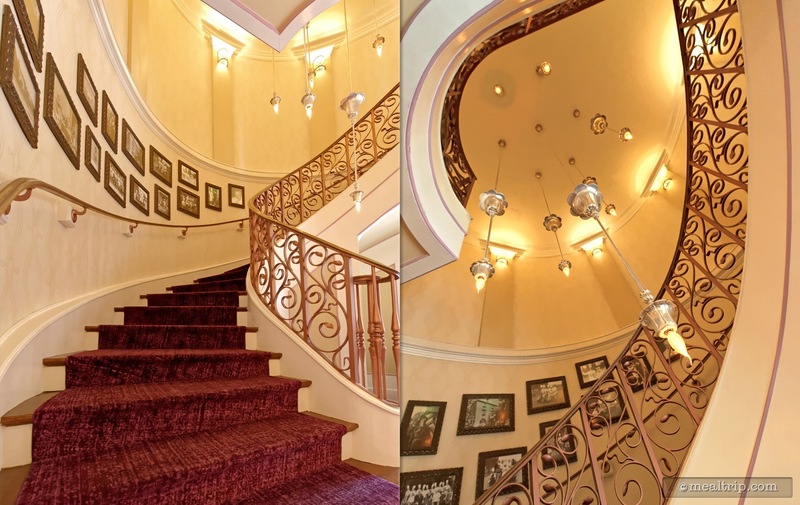 The light and elegant French country decor fit the theme of the light lunch perfectly. This is a prix fixe, plated affair with waitstaff... and in this case, the menu is fixed as well (so there's nothing to "choose" from per-say). That's a pretty common theme at most of the special dining events… it's kind of the reason you go to them… turning the afternoon over to the chef, and letting them bring you a unique, planned dining experience. The special dining events that are held at various restaurants around WorldShowcase are very popular and so it's not uncommon for the room to be full (which also means that you may want to book your experience well in advance). Smaller parties may be seated with other small parties… and while this is not usually my thing… I have yet to run into "bad" table-mates at any of the special events. Everyone tends to share a love for unique, special, and fine dining experiences and so there's a common theme to talk about, right from the first introductions. At the Parisian Afternoon event, your party will have a pre-determined table number, but you can choose to sit anywhere at that table. 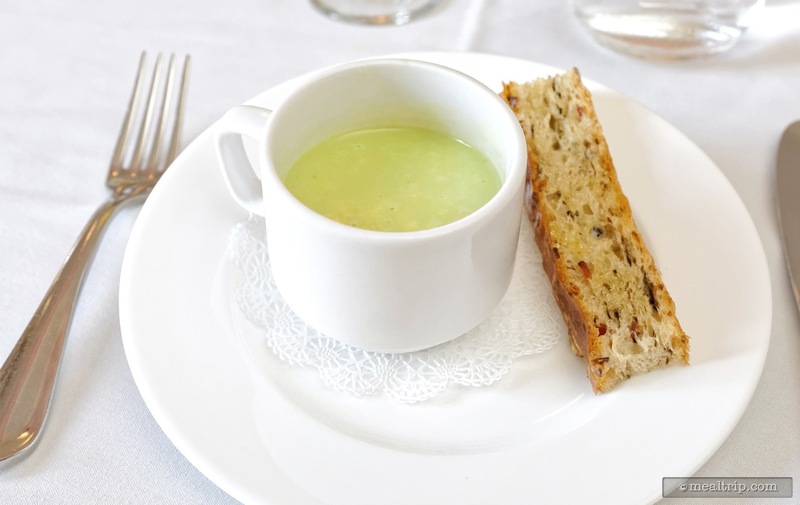 The inaugural 2015 event started with a cup of Cold Pea Soup that was served with Bacon Mushroom "Toast" (which was a little more like a dense strip of focaccia, but rather than being "topped"... the bacon and mushrooms were baked into the bread). 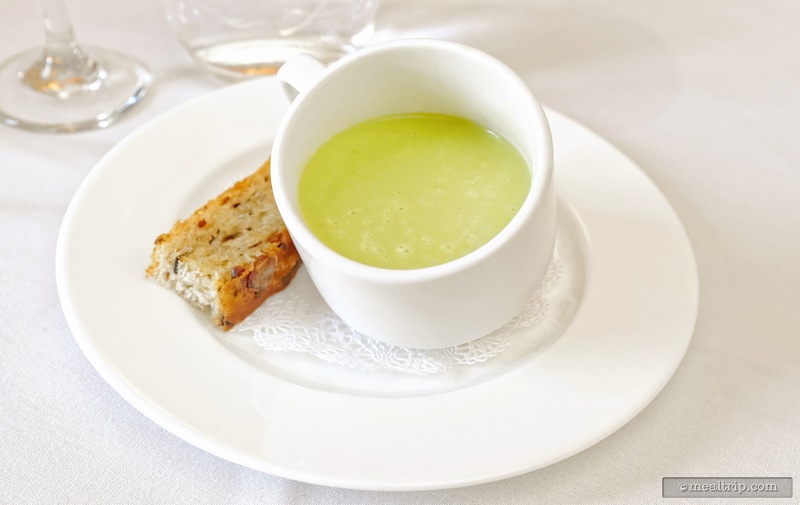 The Cold Pea Soup was very good as was the Bacon Mushroom Toast. I would liked to have seen another strip of the "toast" on the plate actually. For me, the fresh breads and pastries (which are baked fresh daily, just feet away at the Les Halles Boulangerie & Patisserie, located downstairs) are the real highlight of most of the special events held at Epcot's France Pavilion, and so I wish the lunch could be a little more "bread heavy". The next course was a mixed "warm and cold plate". 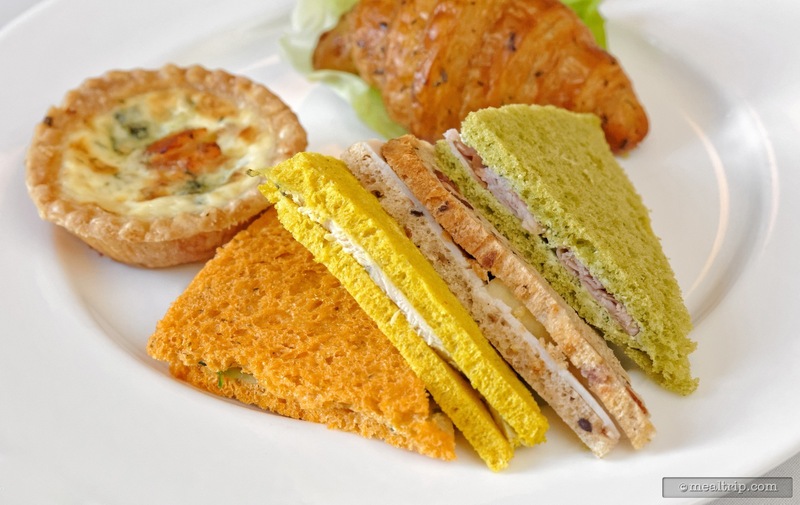 The "cold" portion consisted of four very colorful sandwich halves with the "curry and turmeric bread sandwich with garlic aioli and chicken" and "tomato, basil bread sandwich with basil pesto, tomato, carrot and cucumber" being my two favorites. Be sure to check out our photo captions to see and read about all four sandwiches. Some had more flavor than others and I kind of wish there had been more of an obvious distinct flavor difference between the four, but there wasn't a "bad" sandwich in the collection. Surprisingly, I didn't see much "sandwich trading" between parties! The "warm" portion of the plate featured two items, and both were incredible. The "Savory Thyme Croissant" doesn't sound like much, but it was very nearly a perfect Croissant. Here again, it would have been amazing if the waiter had come around with a warm basket of "second helpings" of the Thyme Croissants. Bread, is really not that expensive to produce in the grand scheme of things, and it would have really taken the event "to the nines" so to speak. 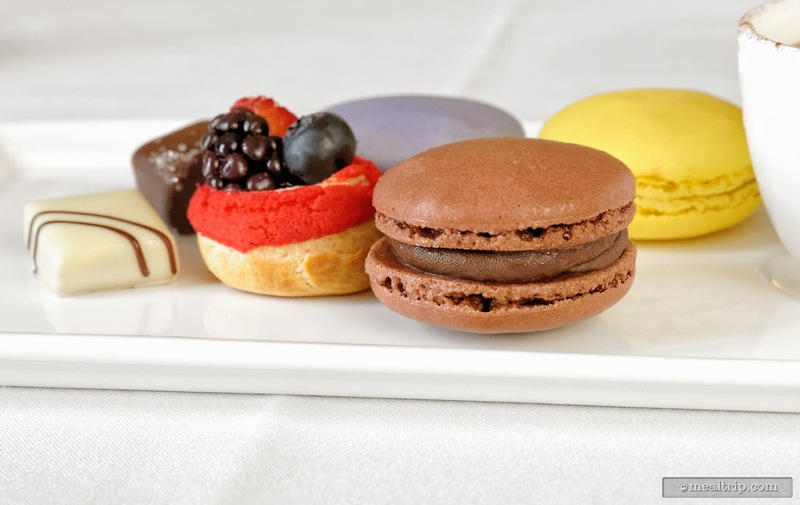 Closing out the meal was an assortment of petits fours and chocolate macarons made with Valrhona chocolate. The plate contained a small cup of chocolate cream made with equatorial milk and Guanaja chocolate (Guanaja is one of Valrhona's dark chocolates, made with 70% cocoa). There were also a couple of hand dipped Valrhona chocolate bonbons on the plate (the one with the coarse sea salt was my favorite), but the real star here was once again, the baked products. The small "Vanilla and Mixed Berries Puff Choux" was a super fresh pastry shell, filled with a chocolate pastry cream and delicately topped with three berries. 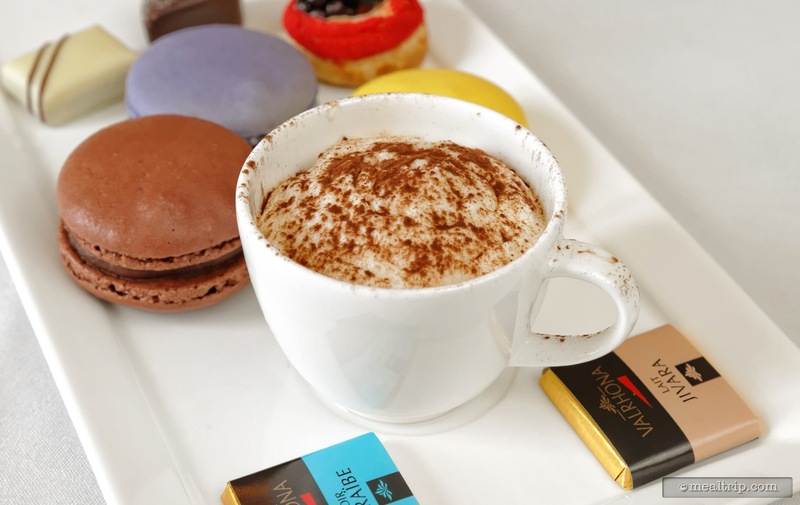 Three chocolate macarons were also on the plate and all three were made with different Valrhona chocolates. The dark macaron with Araguani 72% chocolate was very chocolatey and the Blackberry Macaron made with Illanka (a 63% cocoa chocolate) really packed a sweet punch. 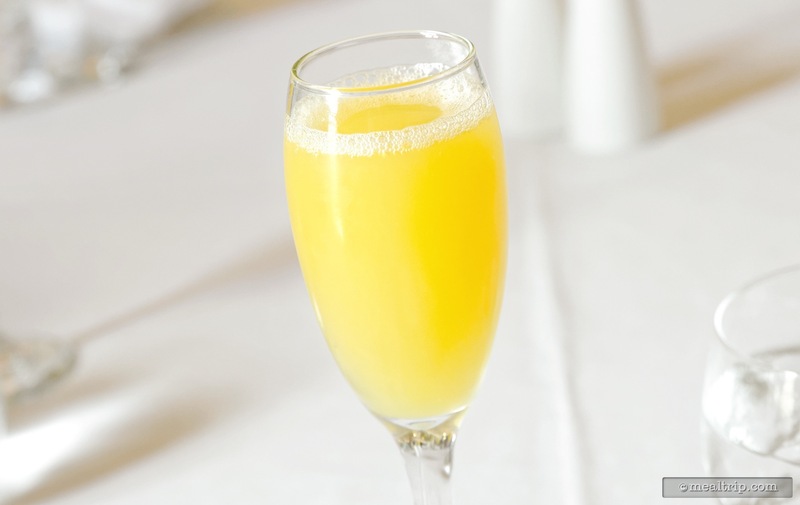 Not to be left out of the equation, is the lunch's drink of choice… the fresh, made table-side, (and bottomless) Mimosa, which is a combination of sparkling wine and orange juice. Now let's not glaze over the most important aspect of that phrase… bottomless. That means as soon as you were done with one, a waiter came right over and poured more sparkling wine and orange juice right in your glass on the table! This went on for the entire two-hour lunch! I'm sure they have other things to drink. I may have seen a soda and a coffee go by every now and again… but there aren't too many places in a Disney Park, where you can sit for two hours, in air conditioning, and have a guy constantly filling your glass with sparkling wine and orange juice… it's just one of those memorable things that will be talked about whenever you recall the event to friends, family, and coworkers... that make these kinds of special events… special. 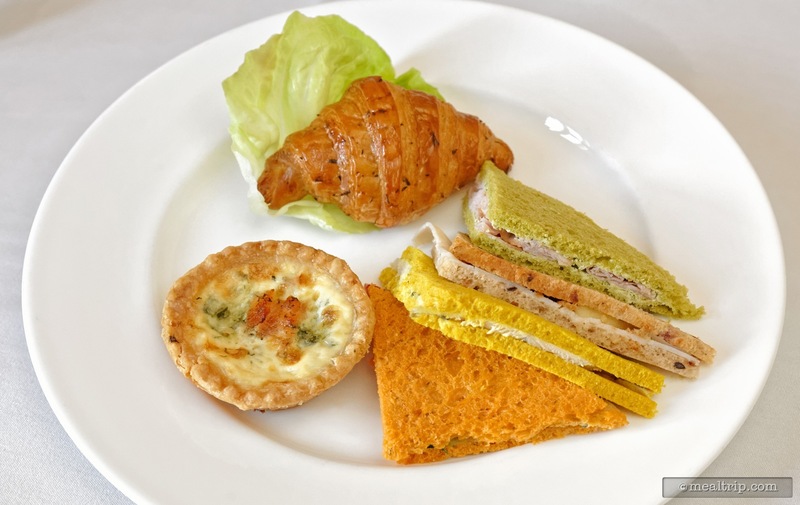 The mantra for most of the savory and sweet items at the Parisian Afternoon lunch event was quality over quantity. 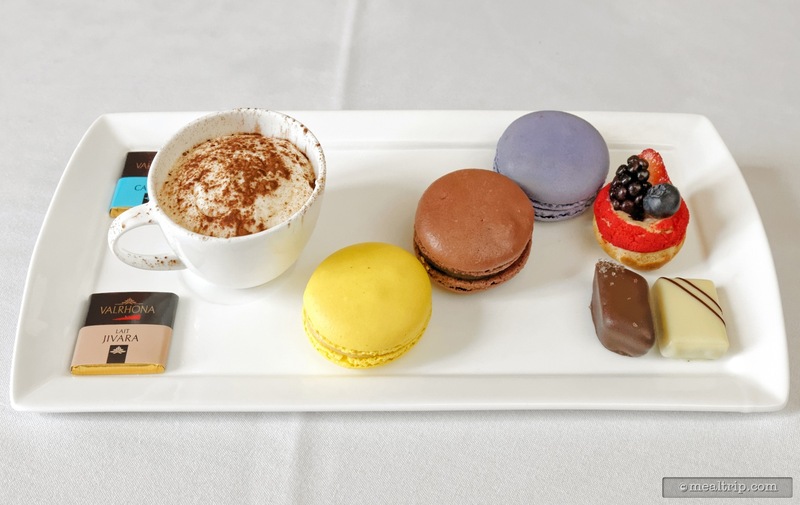 Guests that were expecting a large, heavy western lunch may not appreciate the finer points of trying different levels of cocoa in a macaron or the subtleness of tarragon and spinach bread. 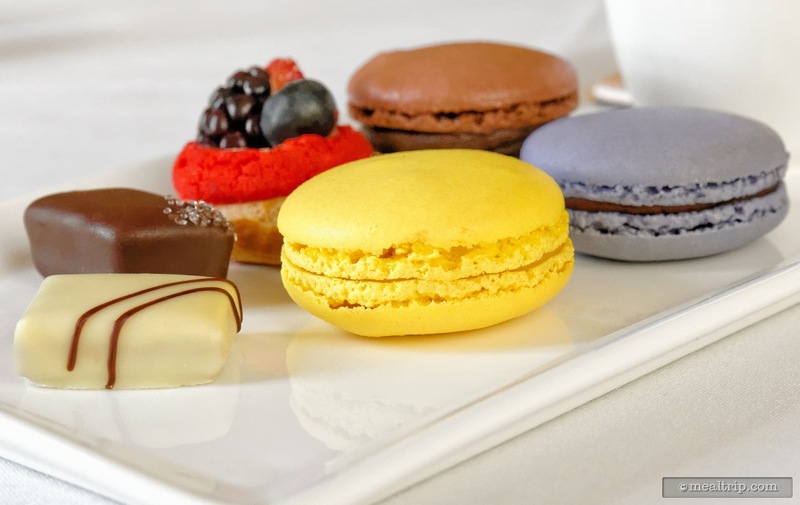 This is a "tasting" event, and it gives you the opportunity to try various things (mostly via the breads, baked goods and chocolates) that you're not going to get for lunch every day. Some of the special events around World Showcase have a bit more of an educational component that the Parisian Afternoon lunch (i.e. more talking about the food or beverage pairings). There is a little bit of information here as the courses are introduced by the chef and master baker, but honestly it's just as much fun talking with your waiter or waitress... as they are actually from France and also seem to know quite a bit about the items being served that day. 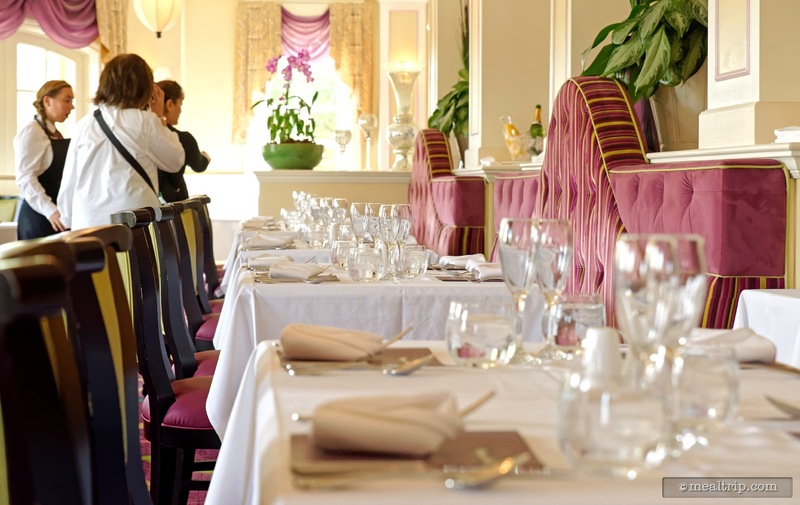 With the price point for The Parisian Afternoon lunch just slightly higher than the very popular breakfast downstairs at Chefs de France, a comparison between the two is inevitable. 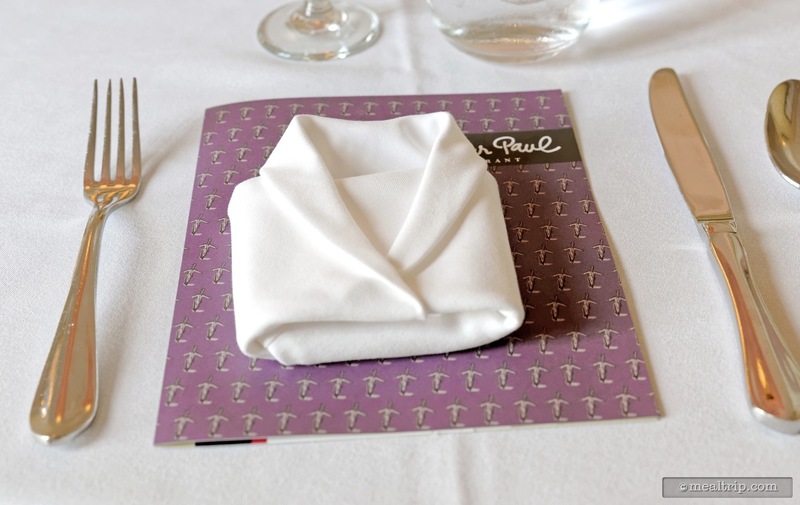 The big difference here (aside from it begin "lunch") is that you are getting to sit in the Monsieur Paul dining area, and the lunch is fully delivered to your table. The breakfast downstairs is serve-yourself buffet style, and contains even less "educational" information about the foods. The breakfast is an amazing way to start your Food and Wine Festival day, while this The Parisian Afternoon lunch provides a slightly elevated respite from the hustle and bustle going on downstairs. You really can't go wrong with either event though, as both become great talking points long after your trip is over!